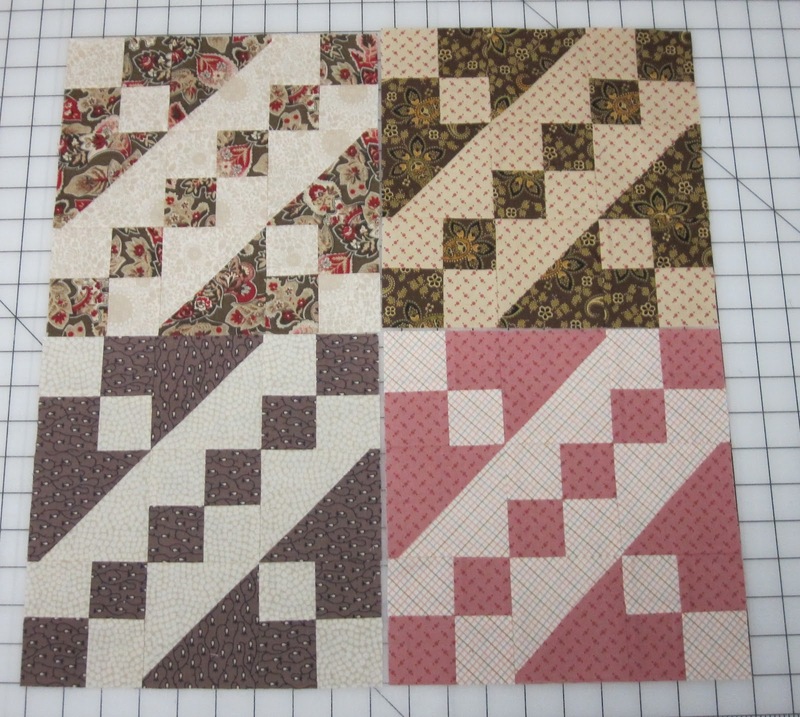 I got the first set of blocks done. Then I just repeated all my steps with the second pile of fabric and finished the second set of blocks. I don't think I mentioned before but the name of the block is Jacob's Ladder. 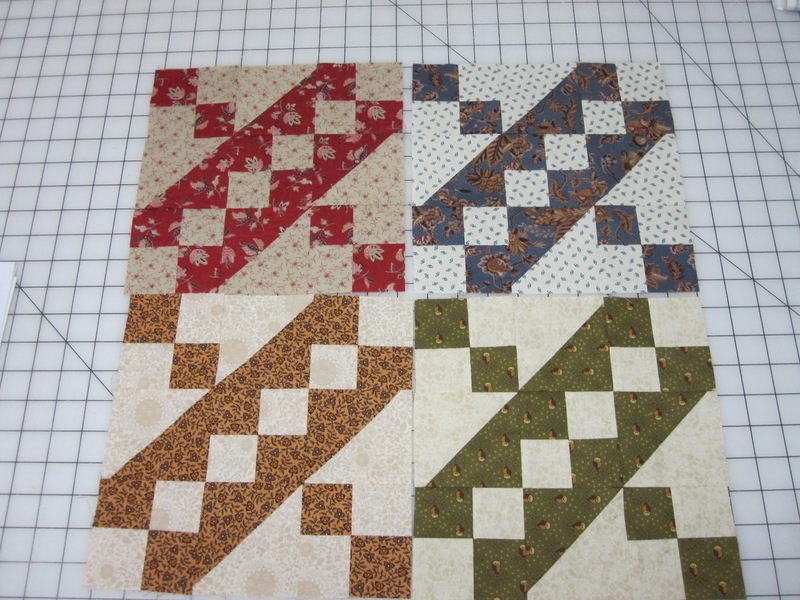 Here are some blocks from the first set. These are from the second set. So far so good, I only noticed a couple small points that were cut off. Now I have to find a large enough space on my floor to lay them all out .